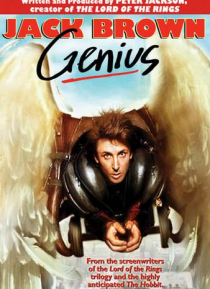 A thousand years ago in England, the crazy monk Elmer (Stuart Devenie) wears a pair of wings and tries to fly from a high tower. He dies, and his soul is doomed to an eternity in hell for committing suicide. Now, in New Zealand, Elmer has one last chance to prove that men can fly and save his soul: his spirit enters into the mind of a very intelligent inventor, Jack Brown (Timothy Balme), and forc… es him to try to fly. Jack uses his latest creation, an amplifier in a tape recorder, to help him succeed in the attempt, but his invention is coveted by his former boss and his lover, who want to sell it to a Chinese investor.